The student-built device took home the grand prize. Detecting skin cancer early isn’t easy. Currently, it’s done through visual inspections or biopsies, but some doctors may not pick up on the disease using the former, while some patients may not be able to afford the latter. As such, a team of graduates from McMaster University in Canada set out to develop an inexpensive skin cancer detector, and their innovative work has earned them the prestigious international James Dyson Award. Cancer affects the metabolic rate of skin cells, with cancerous cells heating up faster than their healthy counterparts following a shock of cold temperature. To make identifying these cells easier, the McMaster University team — Michael Takla, Rotimi Fadiya, Prateek Mathur, and Shivad Bhavsar — built a skin cancer detector with 16 thermistors that can track the rate of temperature increase following a cold shock from an ice pack. The thermistors are simply placed on the potentially cancerous area of skin, and the device produces a heat map that can be used to determine the presence of melanoma. 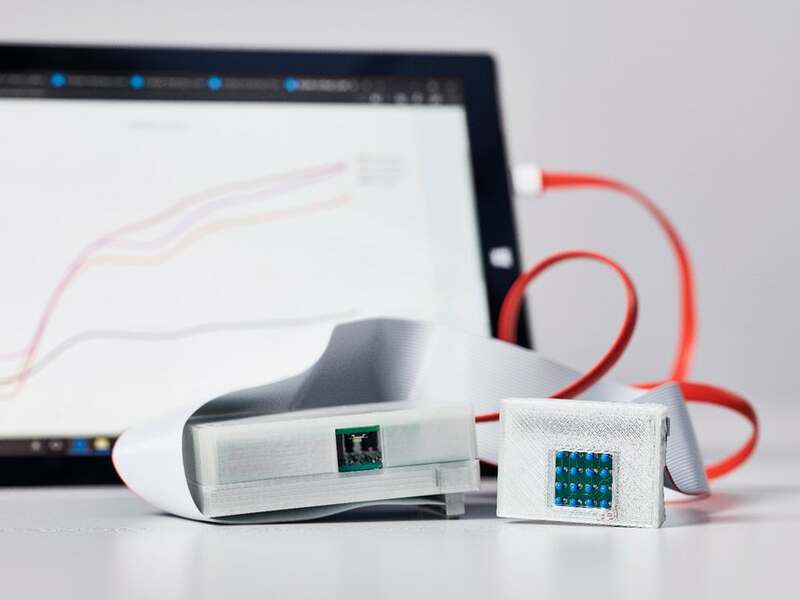 In addition to winning the Dyson Award for their skin cancer detector, the team also received a cash prize of approximately $40,000 to advance their research. They received $10,000 at the the Forge’s Student Start-up Pitch competition in March. According to Mathur, the team was inspired to create sKan after realizing technology hadn’t had the same impact on skin cancer diagnosis as it had on other medical fields. Going forward, the sKan team hopes to create a more advanced prototype that will allow them to begin pre-clinical testing. As reported by The Guardian, nearly 39 people are diagnosed with skin cancer every day in the U.K., and the American Cancer Society (ACS) estimates 87,110 new cases of melanoma will be diagnosed in the U.S. 2017, with 9,730 people dying from the condition. Early detection is key to cancer survival, so if sKan succeeds, it could significantly reduce that number.